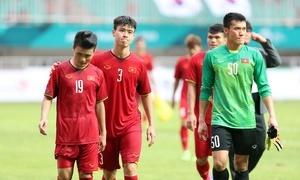 Vietnam fought hard until the last minute but failed to overcome early goals from the defending champions on Wednesday. 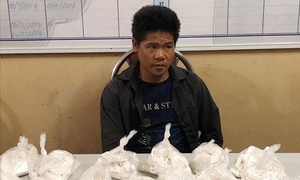 Still, legions of fans were proud of their team’s performance at the historic semifinal match and gave them a standing ovation at the Pakansari Stadium in Indonesia. The team will vie next for the bronze medal on Saturday. 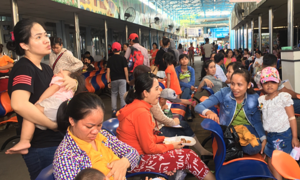 It is the farthest Vietnam has gone in the history of Asian Games. The second half had five extra minutes. Vietnam received another yellow in 89'. Vietnam's Nguyen Quang Hai tried his luck with a shot from outside the box in 86', but did not succeed. In 82', Vietnam took a corner but the shot was saved by the goalkeeper. South Korea received another yellow in 82'. In 76', Vietnam's Nguyen Anh Duc had a missed header, right before he was subbed by Nguyen Cong Phuong, a main striker. 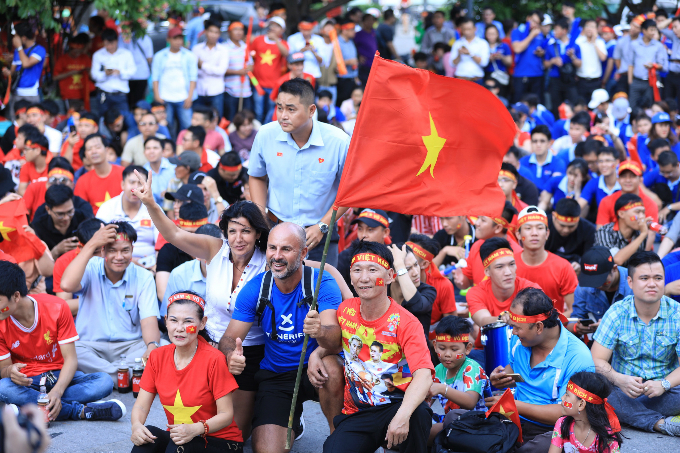 With nothing to lose, Vietnam began to go all out, and were duly rewarded in the 70th minute. 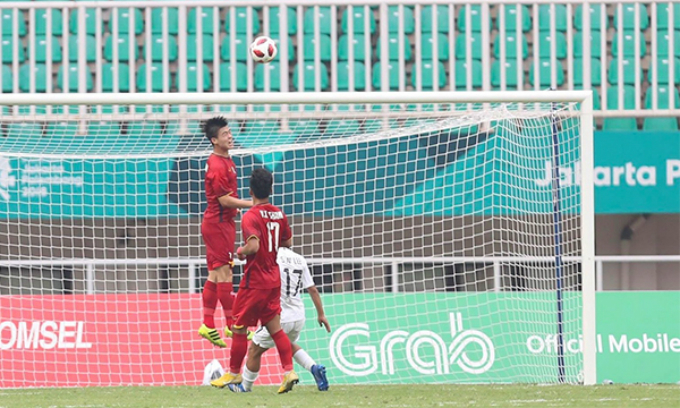 A wonderful free kick saw Tran Minh Vuong achieve the distinction of scoring in his very first Asian Games match. 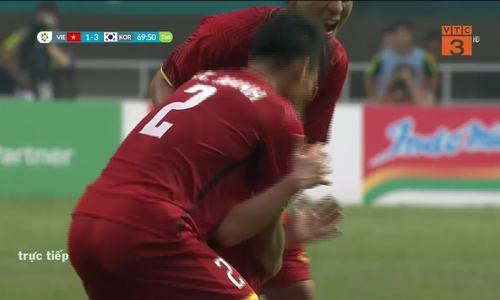 South Korea received another yellow in 69' for a foal. 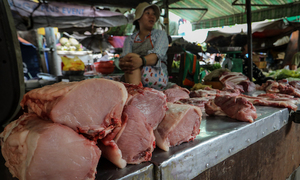 Korea received a yellow card in 62' for buying time, after Vietnam got one in 58'. South Korea scored again. Vietnam’s fortunes dimmed further as Lee Seung-woo made it 3-0 from a tap in in 55'. 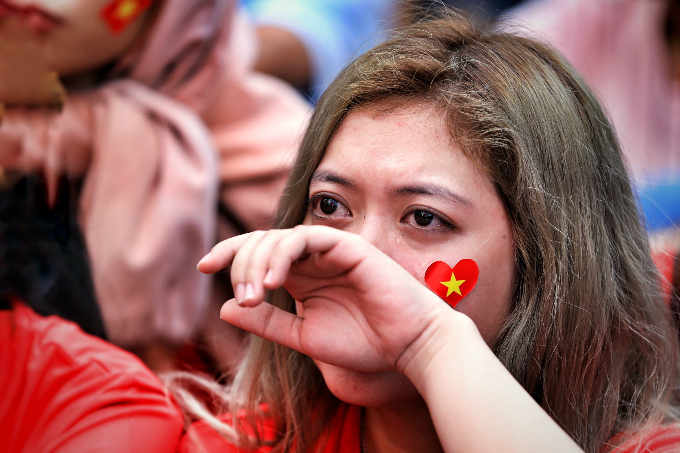 In 48', Vietnam had a volley towards South Korean goalkeeper but the ball went over the bar. The first half closed after two extra minutes, with two goals for South Korea. 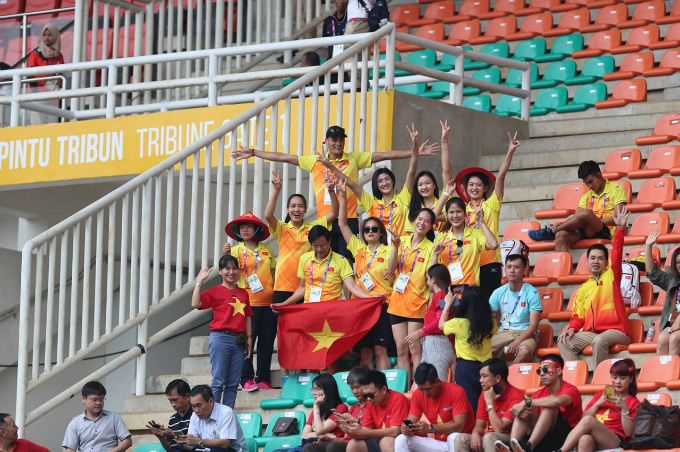 Vietnamese players are still playing a steady game after losing two goals. South Korea scored second goal in 28'! 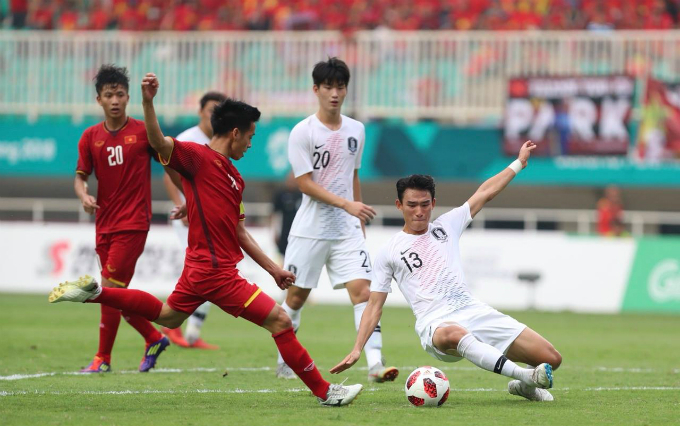 The defending champions went further ahead in the 28th minute courtesy a chip shot by Hwang Ui-Jo, who scored his 9th goal of the Asian Games. In 20', South Korea struck a free-kick saved by the goalkeeper. 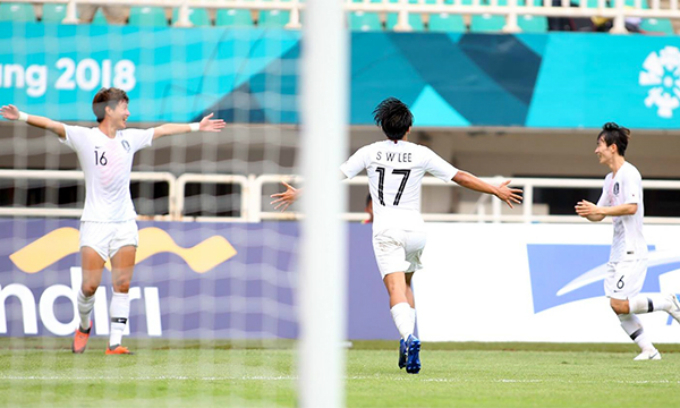 South Korea took no time in taking an early lead, as Lee Seungwoo, wearing jersey 17, found the net with a left footer just 7 minutes into the game. 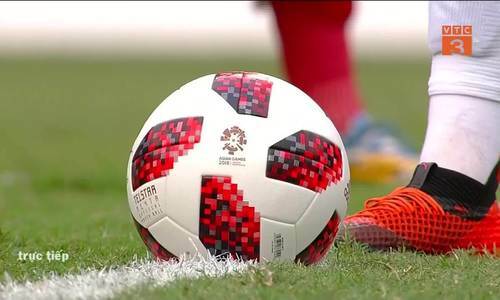 It was the first goal scored against Vietnam at Asian Games 2018. 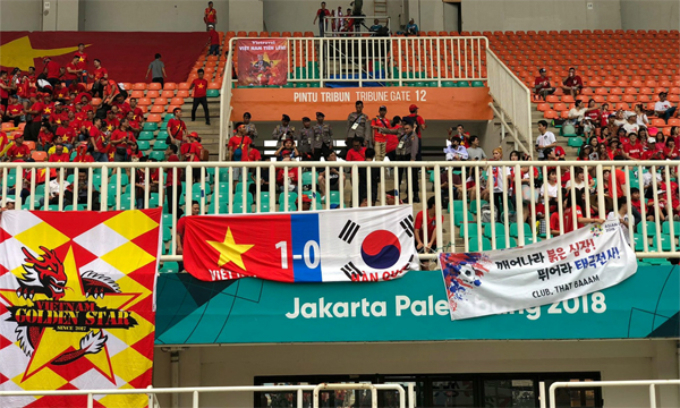 Vietnam entered the game in red with two forwards for the first half, and South Korea in white, with four. 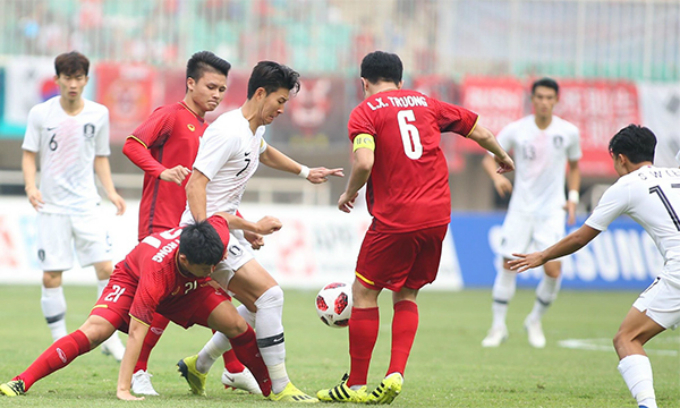 Vietnam advanced to its first semifinal of the Asian Games after defeating Syria with a late goal on Monday. 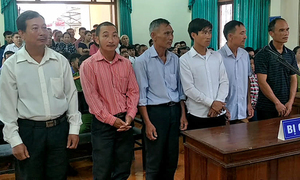 Nguyen Van Toan came off the bench to score the winning goal for Vietnam in 108th minute in extra time. The victory sparked wild celebrations as well as a rush to book tours to watch the semifinal live in Indonesia. 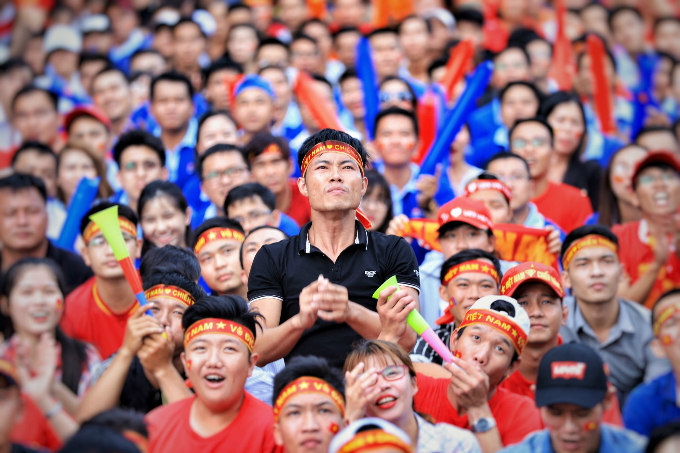 Around 3,000 Vietnam fans are there to cheer for their team this afternoon. 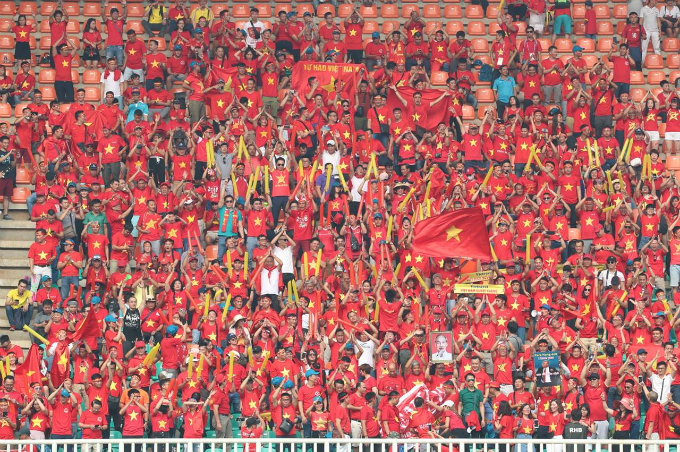 Vietnamese fans creates a red ocean on the stand of Pakansari Stadium. 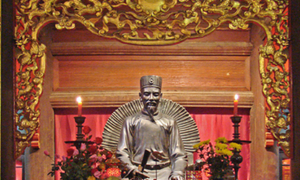 Back in Vietnam, the spirit is super high. 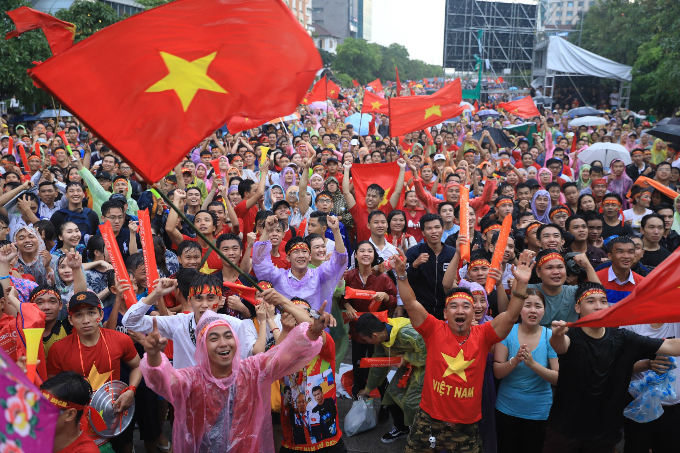 In Saigon, streets are bustling with people selling and buying national flags, t-shirts, banners and other paraphernalia. 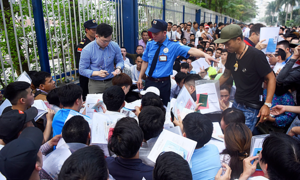 In Hanoi, many companies have let their employees off early this afternoon to go out and enjoy a public football-watching session. Several schools in the country have done the same. The other semifinal will be played by Japan and U.A.E at 7:30 p.m. 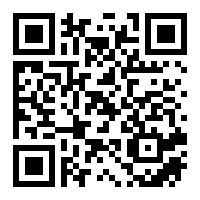 The gold and bronze medal matches will be played on September 1.